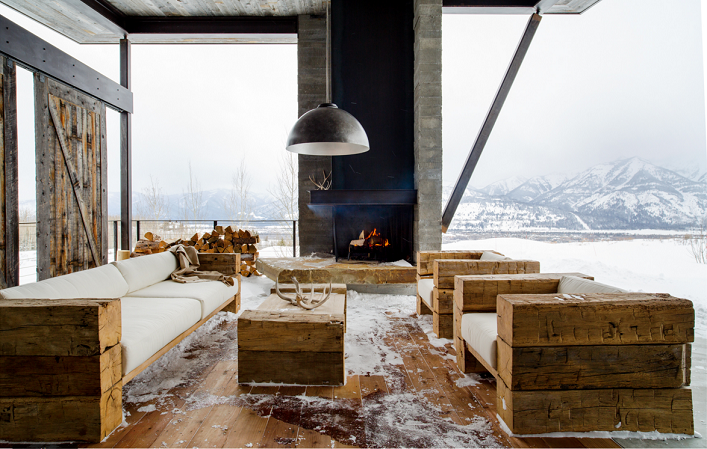 This outdoor room in Wyoming designed by Larry Pearson is insanely amazing! I really love how the cold outdoor blends with the warm furnishings seamlessly. I also like how the sleek fireplace is designed to draw your eyes up so you can appreciate the architecture of the room. The beautiful mountain views is a bonus! Exuding style, warmth and beauty, this gorgeous room is truly a gem. Such a breathtaking and inspiring space, what's not to love?